I have different rates in different studios. As much as possible, I try to make my classes affordable for the children. 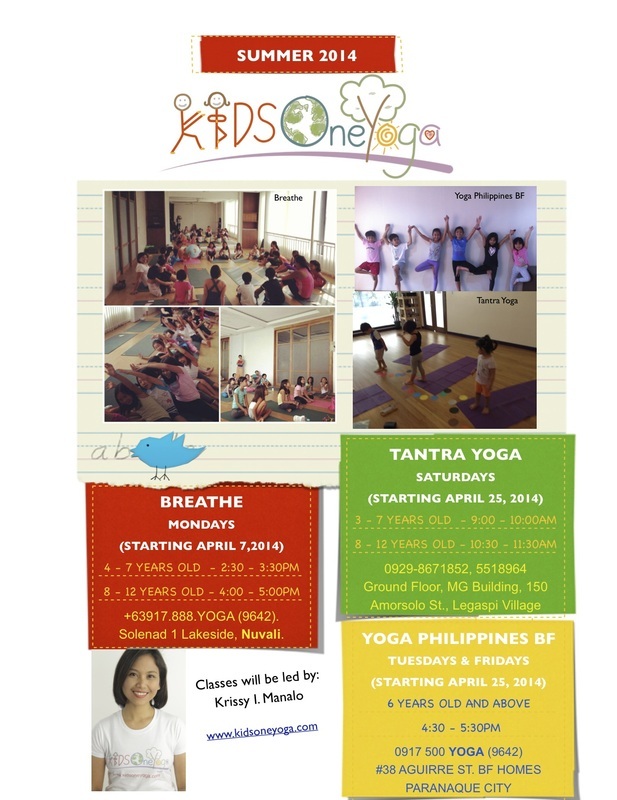 Please check the yoga studios' websites. Private classes, gift certificates, and yoga parties are available upon request. *Come in comfortable clothes fit for yoga (shorts, leggings, t-shirts, or athletic attire). *Bring a yoga mat (the studio has kids yoga mats for sale), water, towel, and extra shirt. We would like for your child to reap the benefits of yoga and allow them to practice the yoga techniques in their everyday activities. Thus, we highly encourage your child's regular attendance and your support of their practice in your home.